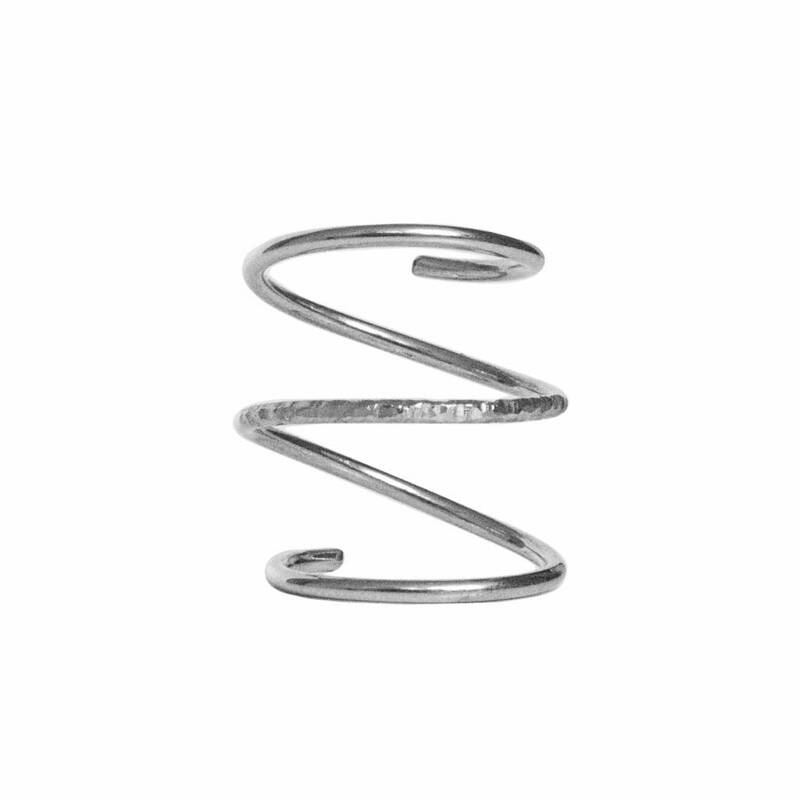 The Silver Spiral Ring is clean and elegant. As part of the Surfaces collection, it is handcrafted with lots of attention to details and finishing. The middle part has a hammered finishing giving it a special sparkle. While the exterior rings have a polished finishings. 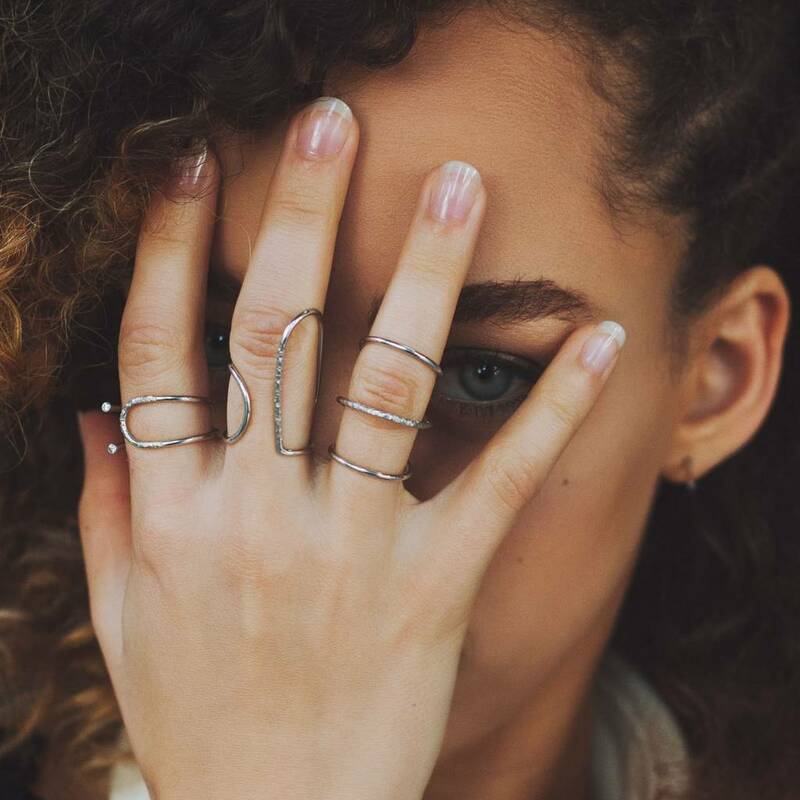 The Spiral Ring is part of a set of tree and it also looks very cool when worn with the rest of the set. 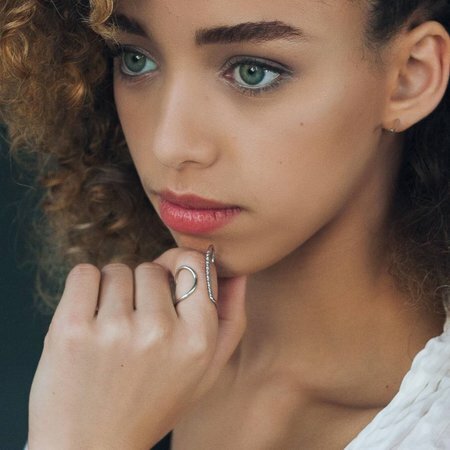 The size of the Spiral ring is adjustable and it is made to be worn on the knuckle of your ring finger. The middle ring is higher than the rest so you can freely bend it as usual. 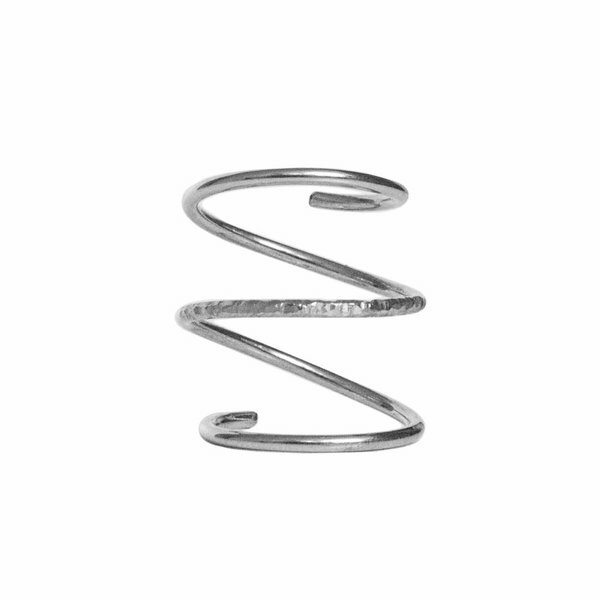 Pull the spiral slowly to perfectly adapt it to your finger.